The New England Patriots steamrolled the Pittsburgh Steelers in the AFC Championship on Sunday night to advance to yet another Super Bowl, their seventh in the Tom Brady-Bill Belichick era. Like a Warriors-Cavaliers NBA Finals, a New England appearance in the Super Bowl has started to feel like something of a foregone conclusion. But considering that Brady missed the first four games of the season as a result of Deflategate, this year's Super Bowl run certainly must feel as good as any for the Pats. 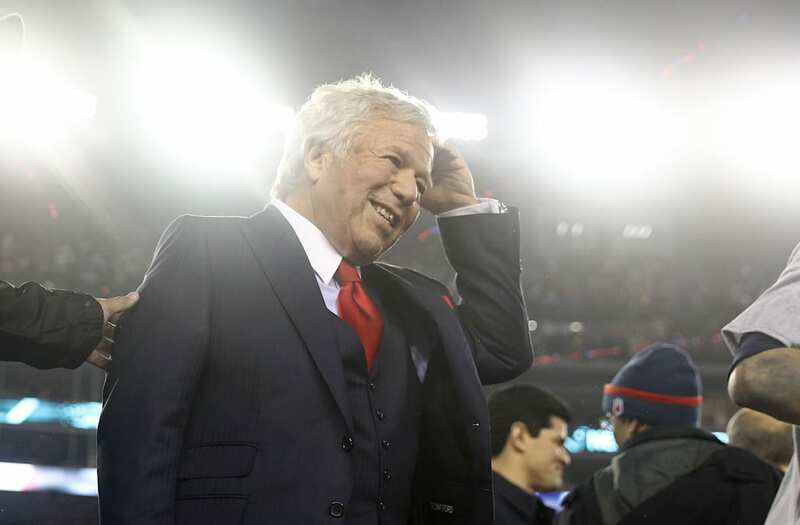 Or so, at least, said New England owner Robert Kraft on national television last night after his team's win. When CBS announcer Jim Nantz asked Kraft about the win, Kraft took a thinly-veiled shoot at Roger Goodell and the NFL as a whole. "For a number of reasons," Kraft said, "all of you in this stadium understand how big this win was." Kraft is pretty transparently referring to the way the NFL handled Deflategate, and it should come as no surprise that fans in Foxborough loved it. In fact, throughout the game — which Goodell elected not to attend, opting instead for the NFC Championship in Atlanta — New England fans repeatedly chanted about Goodell. "Yeah, where is he? He's like Waldo right now. He doesn't want to come here. We don't know where he's at." Goodell hasn't visited a Pats game once during the playoffs. Come the Super Bowl, there's a very good chance he'll have to present the Lombardi Trophy to Kraft, and interact with Belichick and Brady. When that happens, get ready to grab the popcorn.